The Nordic IPO market, and the Swedish market in particular, has been notably strong in recent years and 2017 turned out to be a record year in terms of, inter alia, the number of listings and the number of companies listed on the main market of the Nasdaq Stockholm exchange (Nasdaq Stockholm). During 2017, there were a total of approximately 150 IPOs conducted in the Swedish market (including a few transfers from Nasdaq First North (First North) to Nasdaq Stockholm), whereof approximately 120 were on multilateral trading facilities (MTFs) and the remaining on the regulated markets. The largest IPO during 2017 was the IPO of Munters on Nasdaq Stockholm (Large Cap), where a total of approximately €414 million was raised. In the first quarter of 2018, less than 20 IPOs were conducted in the Swedish market, whereof three were on regulated markets (of which two were transfers from MTFs to Nasdaq Stockholm), a noticeable decrease in comparison to the number of IPOs conducted during the same period in 2017. The issuers in the Swedish market originate from many different sectors. During 2017, healthcare, technology and industrials were the sectors with the most listings. Swedish companies tend to list at home, although there are exceptions, in particular with respect to certain sectors where the investors’ focus is targeted at a specific exchange. Overseas companies do list in Sweden. A substantial part of the number of foreign companies currently listed in the Swedish market originates from the Nordic region and Canada. There are two regulated markets in Sweden, Nasdaq Stockholm and Nordic Growth Market NGM AB (NGM Equity). First North, which is Nasdaq Stockholm’s junior market, is an MTF and not a regulated market for EU Directive purposes and thus subject to a lower level of regulation. An issuer with the intention to list its shares on First North may choose to apply for a listing of its shares on Nasdaq First North Premier, which is a premier segment targeted at companies that make a conscious decision to comply with higher disclosure and accounting standards than the rules applicable on the regular First North segment. NGM AB has a junior market place equivalent to First North, named NGM Nordic MTF (NGM Nordic). There is also a third market place for equities in Sweden, Spotlight Stock Market (formerly, AktieTorget), which is an MTF operated by ATS Finans AB. The competent authority in Sweden is the Swedish Financial Supervisory Authority (SFSA). The SFSA is, among other things, responsible for ensuring compliance with EU regulations relating to financial markets and Swedish securities legislation. One of the SFSA’s key roles is to supervise exchanges and monitor companies that operate on the Swedish financial markets. Further, the SFSA prepares and issues regulations and guidelines with respect to the financial markets and stakeholders operating on such markets. Listing rules containing, inter alia, listing requirements are issued by the stock exchanges and MTFs. Pursuant to the Swedish Securities Markets Act (2007:528) (the Securities Markets Act), a stock exchange (ie, a regulated market) is to have a disciplinary committee for the purpose of handling matters regarding breaches by issuers of the applicable rules. Moreover, the Swedish Securities Council (the Council) is one of the key organisations as it promotes good practices in the Swedish stock market through statements, advice and information. The Council is a private body made up of representatives of various organisations, and together with the Swedish Corporate Governance Board (the Board) and the Swedish Financial Reporting Board constitutes the Association for Generally Accepted Principles in the Securities Market. Further, the Board has issued the Swedish Corporate Governance Code (the Code). The Code is applicable to companies whose shares are admitted to trading on a regulated market, however, only on a ‘comply or explain’ basis. For further information about the Code, please refer to question 11.
the issuer shall be subject to a legal due diligence. Normally, when an issuer makes an offer of securities to the public or applies for admission of securities to trading on a regulated market, a prospectus must be approved by the SFSA and published. The prospectus must be reviewed and approved by the SFSA pursuant to the Swedish Financial Instruments Trading Act (1991:980) (the Trading Act) and in compliance with Directive 2003/71/EC (the Prospectus Directive), including the Commission Regulation (EC) No. 809/2004 (the Prospectus Regulation), Regulation (EU) 2017/1129 (to the extent in force) (as amended or supplemented) and any other relevant implementing measures, as the case may be (jointly, the Prospectus Rules). The prospectus should, as a main rule, be prepared in Swedish. However, in certain situations, the prospectus may be drawn up in the English language. If that is the case, the SFSA may decide that the summary is required to be translated into Swedish. The opening part of the prospectus must include a table of contents, a summary and the risk factors relating to the relevant kind of issuer and securities. Other information required to be addressed in the prospectus is set out in the Prospectus Regulation. Swedish law does not specifically regulate the topic of communication with the press, or other general publicity or communication with securities analysts or investors prior to and during an IPO. Such publicity or communication is generally permissible. Because it is important that all information of significance about the issuer is included in the prospectus and not disseminated to the market in any other manner, due care and monitoring of the dissemination of information is required. Pursuant to the Trading Act, any advertisements about the IPO must include a statement that a prospectus has been published, or will be published, and information on how to get hold of it. The advertisement must be presented in such way that it cannot be mistaken for something other than an advertisement. The information provided in the advertisement may not be incorrect or misleading and must also be consistent with the information provided in the prospectus. If a prospectus has not yet been published, such information must be consistent with the information to be provided in the prospectus. Other information provided by an issuer in relation to an IPO(eg reports and such like) must be consistent with the information provided in the prospectus. The SFSA is responsible for the supervision of regulated markets and MTFs. If the SFSA believes that a regulated market or an MTF has been involved in an IPO where the IPO rules have been breached, the SFSA can investigate the matter and sanction the regulated market or MTF if such breach can be attributed to shortcomings on the part of the regulated market or MTF. Sanctions include criticism, orders, remarks, warnings, sanction fees and revoked licence. To a certain extent the SFSA’s supervision also includes certain non-firms and individuals operating on the financial markets. This relates, for example, to dissemination of information by listed companies to the market through prospectuses and to issues related to Regulation (EU) No. 596/2014 on market abuse, as amended (Market Abuse Regulation). If the SFSA believes that there are reasonable grounds to believe that an offer of securities or an application for admission of shares on a regulated market contravenes the rules of the Trading Act or the Prospectus Regulation, the SFSA can temporarily suspend the offer or admission to trading. In such case, an offer directed to the public can also be permanently prohibited. Advertisement regarding an offer for securities to the public or an admission of securities can be permanently prohibited on grounds specified in the Trading Act. The time from initiation of an IPO procedure until the consummation thereof normally amounts to approximately four to six months, the timeline is, however, to some extent dependent upon the choice of market place on which the shares of the issuer are to be listed. In this respect, it could be noted that Nasdaq Stockholm provides a fast-track alternative for companies that are very well prepared. In normal cases, such a fast-track process consumes five weeks in total. When an IPO process is initiated, the issuer usually begins the process by retaining a number of advisers, including, for example, financial and legal advisers, auditors, public relations advisers and a certified adviser or a mentor (in the case of an intended listing on First North or NGM Nordic). The issuer typically enters into an engagement letter with the financial adviser(s). The preparatory phase of an IPO on a regulated market will include contacts with the relevant stock exchange, which will appoint an exchange auditor for the purpose of assessing whether it would be appropriate to list and admit the securities in question to trading. In cases where the issuer seeks to conduct an IPO on an MTF, there is no exchange auditor involved. However, the issuer must, in the case of a listing on First North, engage a certified adviser in connection with the application process. It is the certified adviser’s obligation to guide the issuer through the listing process and to make sure that the rules of First North are fulfilled at the time of the listing as well as continuously thereafter. With respect to NGM Nordic, an issuer must instead engage a mentor. In addition, in many cases (regardless of the choice of market place) a pre-audit is performed by a separate auditor. Further, the preparatory stage of an IPO will include the carrying out of due diligence exercises (legal, financial and tax). The legal due diligence is mandatory with respect to companies looking to get their shares admitted to trading on a regulated market. However, most IPOs include a due diligence exercise, regardless of the choice of market place. The nature of the review is somewhat more limited in comparison to a due diligence performed in connection with a private merger and acquisition transaction. The preparatory phase of an IPO also includes, for example, prospectus drafting and preparation of transaction documents (such as research guidelines, publicity guidelines, placing agreement and lock-up undertakings). When the prospectus is more or less finalised, it is to be submitted to the SFSA for review and approval. Provided that the issuer’s securities have not previously been offered to the public or been admitted to trading on a regulated market, the SFSA shall, pursuant to the Trading Act, decide upon eventual approval within 20 business days from the submission of the application. An IPO process will also involve analyst education and pre-marketing activities primarily involving the issuer and the financial advisers appointed. Such activities include, for example, analyst presentations, question and answer sessions, early-look investor meetings, pilot fishing and roadshows. Further, research reports will be prepared by the research analysts involved. The management of the issuer is normally expected to comment on drafts of such reports. The issuer is also required to submit a formal application for admission to trading or listing to the relevant market place, the approval of which may be subject to several conditions, such as the prospectus being approved by the SFSA and the issuer fulfilling the applicable free-float requirements (which, however, normally cannot be determined prior to the allocation of shares). Once the issuer feels confident that it will proceed with the IPO, the issuer often publishes an intention to float announcement (ITF). At this time, the research reports prepared by the involved research analysts will typically be published. At quite an early stage in the IPO process, the issuer’s financial advisers usually provide an indicative valuation of the issuer. At a later point in time, before the commencement of the application period, a price range or a fixed price will be determined. The application period may not begin prior to the prospectus being approved by the SFSA and published. Thus, the application period is typically initiated when the IPO is publicly launched, ie, when the prospectus is launched together with a press release containing the price range, or a fixed fee, and size of the offer. The application period is often a couple of weeks long. The decision on the IPO price, allocation and signing of the placing agreement (and lock-up undertakings) normally occur the day before the first day of trading. Then, on the first day of trading, pricing is announced through a press release. During the period from the first day of trading until the settlement date (normally two business days), trading in the issuer’s shares is normally made possible through share loans from main shareholders. At the settlement date trading becomes unconditional, entailing that the investors become the legal owners of the shares in question. There are a number of fees to be paid by the issuer in connection with an IPO. Given the fact that Nasdaq Stockholm is the largest market place for equity securities in Sweden, the presentation below regarding fees to the exchange takes aim at Nasdaq Stockholm. The normal listing fees for issuers on Nasdaq Stockholm are currently made up of a fixed fee and a variable fee. The fixed fee amounts to 700,000 Swedish kronor and shall be paid before the exchange initiates its processing of the listing application. The variable fee shall be paid after completion of the listing and is based on the average market capitalisation for the first month of trading. The fee is currently set at 150 kronor per market capitalisation million. The aggregate application fee is presently capped at 1,200,000 kronor. In the event a company cancels the listing process, a fee of additional 300,000 kronor will be invoiced. 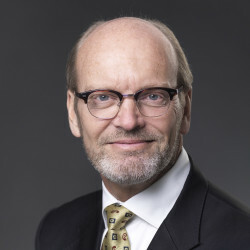 The issuer will also need to pay other fees to the exchange, such as a fee of 150,000 kronor for a one-year exchange auditor follow-up review and an annual fee of 48 kronor per market capitalisation million, based on the average market capitalisation for the previous year (the annual fee will, however, amount to a minimum of 205,000 kronor and a maximum of 3,105,000 kronor). The fee relating to the SFSA’s review and approval process with respect to the prospectus is, at the date of this publication, 65,000 kronor. The financial advisers typically receive a fixed fee, the amount of which varies but often equals to a percentage of the sales price of all shares offered. In addition, there is often a discretionary fee (normally payable at the sole discretion of the issuer and the main shareholders) which may be based on, for example, a percentage of the aggregate sales proceeds. The issuer would normally be responsible for fees and expenses of legal counsels and other advisors involved in the IPO, as well as for other costs related to the IPO process. Issuers are also subject to other costs, such as costs relating to affiliation to the central securities depositary (Euroclear Sweden AB). The key corporate governance requirements are set out in the Swedish Companies Act (2005:551) (the Companies Act) and the Code. The Code forms part of the self-regulation of the corporate sector and sets out rules on, eg, composition of the board of directors and nomination committee and remuneration of the board of directors and the executive management of an issuer. It is considered good stock market practice for issuers with their shares admitted to trading on a regulated market to apply the Code. Consequently, issuers conducting an IPO on a regulated market must apply the Code from the time of completion of the IPO. The Code is, however, based on the principle of ‘comply or explain’ which means that there is no formal obligation for the issuer to comply with all of the rules of the Code at all times, as long as the issuer openly reports every deviation, describes the alternative solution it has chosen and explains its reasons for doing so. Failure to comply with the rules of the Code may, however, result in reputational damage. It is not mandatory for issuers looking to list its shares on an MTF to apply the Code, although it is expressly recommended for issuers seeking to list its shares on the premier segment of First North. It is, however, relatively common also for other issuers to voluntarily apply the Code. As regards board composition, the Code stipulates that the composition of the board of directors is to be appropriate in relation to the issuer’s operations, phase of development and other relevant circumstances. Further, the board members shall collectively exhibit diversity and breadth of qualifications, experience and background. The issuer shall also strive for gender balance on the board of directors. Moreover, deputies for board members elected by the shareholders’ meeting are not to be appointed and no more than one elected member of the board may be a member of the executive management of the issuer or a subsidiary of the issuer. The Code further provides that the majority of the board members shall be independent of the issuer and its executive management, and that at least two of the members of the board who are independent of the issuer and its executive management shall also be independent in relation to the issuer’s major shareholders. In this respect, the Code contains information on how to assess the independence of board members. The Code also stipulates that the shareholders’ meeting shall establish a nomination committee for the purposes of proposing decisions to the shareholders’ meeting regarding electoral and remuneration issues with respect to board members and auditors and, where applicable, procedural issues for the next nomination committee. In addition, the Code stipulates that the board of directors is to establish a remuneration committee. The Code also includes rules relating to, for example, board procedures and requirements with respect to the chairman of the board of directors. In addition to what is stipulated in the Code, it follows from the Companies Act that a company whose shares are admitted to trading on a regulated market shall have an audit committee for the purpose of, inter alia, monitoring the company’s financial reporting and making recommendations and proposals to ensure the reliability of the reporting. The company is, however, not obliged to have an audit committee provided that the board of directors performs the duties normally carried out by the audit committee. The members of the audit committee cannot be employees of the company and at least one member of the audit committee, or the board of directors, as applicable, must have accounting or auditing proficiency. The prospectus that is to be drawn up in connection with the IPO is to contain information as to whether the issuer fulfils the requirements on corporate governance and, if that is not the case, an explanation of the reasons. 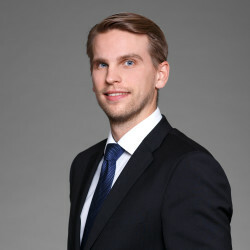 Furthermore, pursuant to the Swedish Annual Accounts Act (1995:1554), issuers whose shares are admitted to trading on a regulated market are obligated to prepare an annual corporate governance report, either as a part of the management report included in the annual financial statements or as a stand-alone document. The ‘comply or explain’ statement in relation to the Code will be included in the report. Information regarding corporate governance functions of the issuer and how the issuer applies the Code shall also be published on the issuer’s website. As already mentioned in question 11, it is considered good stock market practice for issuers with their shares admitted to trading on a regulated market to apply the Code (ie, such issuers are to apply the Code). Given the ‘comply or explain’ mechanism on which the Code is based, there is, however, no strict requirement for issuers to comply fully with all of the standards of the Code. Companies looking to list their shares on an MTF are in general smaller than companies seeking to get their shares admitted to trading on a regulated market. There is no obligation for issuers whose shares are listed on an MTF to apply the Code, although many issuers do apply the Code voluntarily. In addition, the requirement to establish an audit committee, or alternatively, having the board of directors performing such committee’s duties (as set out in the Companies Act), does not apply to issuers whose shares are listed on an MTF. There are no special allowances or similar for certain types of issuers with respect to corporate governance requirements. Anti-takeover devices are rarely implemented by IPO issuers in Sweden. The Swedish Takeovers Act (2006:451) provides that if, due to information originating from the person who intends to submit a public offer for shares in the company, the board of directors or the managing director of a Swedish limited liability company whose shares are traded on a regulated market has legitimate cause to assume that such an offer is imminent, or if such an offer has been submitted, the company may only take actions to create less favourable conditions for the submission or execution of the offer as a result of a resolution passed by the shareholders’ meeting. Notwithstanding the foregoing, the company may seek alternative offers. The same applies with respect to companies listed on MTFs according to the Takeover Rules for Certain Trading Platforms issued by the Board. The requirement that the information regarding the offer is to give ‘legitimate cause to assume that an offer is imminent’ means that the information must be reasonably concrete and that the offeror can be assumed to have sufficient financial resources to implement the offer. The mere fact that the board of directors believes that the offer will not be sufficiently attractive to shareholders is not justification for the board to take its own measures against the offer. Measures the company may not take may include, for example, a targeted issue of shares, a transfer or acquisition of assets or an offer to the shareholders of the offeror company or another company for the acquisition of their shares. Whether these or other measures are covered by the provision depends on whether the measure in question is designed to impair the conditions for submission or implementation of the offer. A foreign issuer considering listing its shares in the Swedish market will naturally need to begin by deciding which market place is most suitable. Important factors that could affect such decision are, inter alia, the listing requirements of the market places, continuous obligations and the type of investors that the issuer wishes to attract. A listing on Nasdaq Stockholm will normally attract the most attention from investors. The IPO-related requirements for a foreign-based issuer to have its shares admitted to trading on a regulated market are more or less identical to those applicable to a Swedish issuer. With respect to the prospectus, an issuer based in the European Economic Area (EEA) may normally either prepare a prospectus to be reviewed and approved by the SFSA pursuant to the Trading Act or prepare a prospectus and have it reviewed and approved by the competent authority of the issuer’s home member state and subsequently passported into Sweden. For an issuer that is based outside the EEA, it will, however, be necessary to identify which EEA state is its home member state under the provisions of the Prospectus Directive. In the event Sweden is deemed to be the issuer’s home member state, the SFSA has the responsibility of reviewing and approving the prospectus. A foreign issuer which shares are admitted to trading on a regulated market will, in order to comply with good stock market practice, be required to apply the Code (and thus comply with the Code or explain any non-compliance thereof) or the corporate governance code in force in the country where the issuer has its registered office or the code applicable in the country in which its shares are also listed. If the foreign issuer does not apply the Code, it shall state which corporate governance code or corporate governance rules it applies and its reasons for doing so. It shall also report and explain the important aspects in which the issuer’s conduct deviates from the Code. Such explanation shall be provided in or adjacent to the issuer’s corporate governance report or, if no such report exists, on the issuer’s website. (iii) where an offering amounts to at least €100,000 per investor or where the nominal value of the securities offered amounts to at least €100,000 and (iv) where the aggregate amount to be paid for the securities relating to an offering corresponds to a maximum of €2,500,000 during a period of 12 months. In Sweden, neither the issue of new shares that is normally a part of an IPO nor any transfer of shares (whether subsequent to the IPO or as part of a secondary offering) will result in any stamp duty or similar tax being levied. An IPO investor can seek redress through filing a claim with the courts of Sweden. A non-judicial resolution would be a possibility only if the claim is settled. The Swedish Group Proceedings Act (2002:599) enables class actions in IPO-related claims. However, such class actions, which could be described as ‘opt-in’ class actions, are not commonly used as a dispute settling method in Sweden in general. The procedure for joint adjudication of similar cases under the Swedish Code of Judicial Procedure (1942:740) is more frequently used to settle disputes involving several claimants, and is thus of more significance. The Code of Judicial Procedure and case law on joint adjudication adopt a rather liberal approach to joint adjudication of similar cases brought by several claimants. Because joint adjudication is governed by the provisions of the Code of Judicial Procedure, the same rules apply as for individual civil cases. To date no IPO-related case has been adjudicated applying the Group Proceedings Act. With respect to IPO-related investor claims, the adequate causes of action would be to sue sellers of existing shares for damages on contractual grounds, to sue the board of directors or the managing director of the issuer for untrue statements or omissions in the prospectus or in advertisements or, in exceptional cases, to sue any of the aforementioned persons for damages asserting the fraud rules of the Swedish Penal Code (1962:700). Under the Companies Act, a founder, director, managing director or auditor of a company who, in performing his or her duties, intentionally or negligently causes damage to the company must pay compensation for that damage. If a company has prepared a prospectus in accordance with the Trading Act, the same applies to damage resulting from contravention of the prospectus rules of the Trading Act or of the Prospectus Regulation. There is uncertainty as to whether under Swedish law the issuer can be held liable to pay damages to investors due to untrue statements or omissions in the prospectus. During 2017 and early 2018, a notable trend has emerged entailing that many IPOs are conducted in the form of dual tracks and that, in connection therewith, many companies are sold privately and thus never reach the stock market. A good example of this phenomenon is Paypal’s acquisition of Izettle in May 2018. This trend may to a certain extent explain the decreasing number of IPOs in the Swedish market during 2018. On 20 July 2017, a new EU Prospectus Regulation ((EU) 2017/1129) entered into force. The Regulation will apply as of 20 July 2019 (although some provisions apply already as of 20 July 2017). The new regulation replaces the Prospectus Directive in its entirety. Hammarskiöld & Co offers a comprehensive legal service to clients with international business interests, focusing on M&A, banking and finance, capital markets, litigation and arbitration, intellectual property and technology, media and telecoms, EU and competition law.